Or click here to send us an enquiry or book online. Anger Management Course takes place regularly throughout the year – please contact us for details. Next course is taking place on Saturday 27th and Sunday 28th of April 2019 from 10am – 4pm, taking bookings now, 2 places remaining. Price: The cost is €250 for the weekend. A deposit of €100 is required to confirm the place and can be sent to Beth Fitzpatrick, 353 Crumlin Road Crumlin Dublin 12. There is a discount available for two people from the same family, group, couple etc. €400.00 for two places. The course is limited to 6 places only so book early to avoid disappointment. On successful completion of the course, all participants will receive a Certificate stating that they have completed an Anger Management Course at Access Counselling Clinic centre. with CPD points of 12 hours. Facilitator: Beth Fitzpatrick from Access Counselling Clinic, Counselling Dip, MIACP & Accredited Clinical Supervisor, MWGII. Beth has been the resident therapist to the RTE’s The Afternoon Show and regularly gives advice for articles in newspapers and is regularly on live radio programmes giving expert advice on all areas of relationship issues, anger management, depression, family issues and addiction. Beth has designed this customized course based on her experience working with clients. It is the only course of it’s kind countrywide. 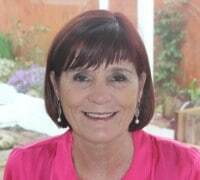 Facilitator: Helen Dunne Counselling Diploma, Diploma in Addiction, MIACP, MWGII, Reiki Master, Capacitor Trainer, Clinic Hypn-otherapist, Angel Chakra Therapist, Auricular Acupuncture. Helen is a family counsellor for over 14 years and is very experienced in all areas of anger management and other issues. Helen has been trained by Beth as one of Access Counselling Clinics most experienced and longest counsellors to run the course. Helen has extensive experience in teaching groups, and counselling in all areas such as anger management, addiction, depression, abuse, familly therapy, relationships and many other areas. Duration: 2 days over 1 weekend. 10.00 am to 4.00pm. Course Outline: Learn to manage your anger and improve your life. Simply put, this means changing the way you think. Angry people tend to curse, swear, or speak in highly colourful terms that reflect their inner thoughts. When you’re angry, your thinking can get very exaggerated and overly dramatic. Try replacing these thoughts with more rational ones. For instance, instead of telling yourself, “oh, it’s awful, it’s terrible, everything’s ruined,” tell yourself, “it’s frustrating, and it’s understandable that I’m upset about it, but it’s not the end of the world and getting angry is not going to fix it anyhow. Be careful of words like “never” or “always” when talking about yourself or someone else. “This fxxxxin machine never works,” or “you’re always forgetting things” are not just inaccurate, they also serve to make you feel that your anger is justified and that there’s no way to solve the problem. They also alienate and humiliate people who might otherwise be willing to work with you on a solution. Logic defeats anger, because anger, even when it’s justified, can quickly become irrational. So use cold hard logic on yourself. Remind yourself that the world is “not out to get you,” you’re just experiencing some of the rough spots of daily life. Do this each time you feel anger getting the best of you, and it’ll help you get a more balanced perspective. Angry people tend to demand things: fairness, appreciation, agreement, willingness to do things their way. Everyone wants these things, and we are all hurt and disappointed when we don’t get them, but angry people demand them, and when their demands aren’t met, their disappointment becomes anger. As part of their cognitive restructuring, angry people need to become aware of their demanding nature and translate their expectations into desires. In other words, saying, “I would like” something is healthier than saying, “I demand” or “I must have” something. When you’re unable to get what you want, you will experience the normal reactions frustration, disappointment, hurt, but not anger. Some angry people use this anger as a way to avoid feeling hurt, but that doesn’t mean the hurt goes away. This course will teach you to apply these and other skills to your life to empower you to control your anger. It will also help counsellors to use CBT to help their clients overcome anger management issues in their lives. People with problems controlling their anger have difficulty coping with pressures from the outside world, other people, and the way these external stresses impact on them. Day to day problems, negative thoughts and beliefs, and interpersonal relationship problems are interrelated because an increase in stress-related tension also increases the likelihood of anger and aggression. There is a broad spectrum on the anger continuum between irritability and anger caused by the belief that life is unfair, and that someone has violated our strong internal standards of behaviour at one end of the continuum, and hostility and uncontrollable rage at the other. Rage is caused by childhood situations where a person has been repeatedly criticised and humiliated and made to feel that they are neither worthy nor lovable. These wounds to the self over a long period of time become the trigger where people defend themselves against these negative feelings by mobilising extreme aggression to protect their repeated feelings of low self-worth. There is a big difference between losing your temper because someone has violated your standards of housekeeping, order, driving competence or childrearing, and the potentially explosive and violent outbursts which are activated by jealousy, rejection, and in circumstances where one is fighting for ones life against punishing or destructive relationships. The way we interpret our experience. The way we recognise, express and control anger. The errors in communication with others. It is statistically proven that the inability to successfully manage anger can damage the body, and that hard driving/achievement striving Type A personalities who multi-task without recuperating through relaxation are 7-8 times more at risk of the cardiovascular threat of heart attack and stroke than their more lay back ‘take it as it comes’ Type B counterparts. Stage One: Extensive stress reduction and relaxation programme to reduce the sense of threat, violation, frustration, fear and guilt that these outbursts and loss of control can produce. substituting them for a more balanced way of thinking. These are often present as some of the underlying non-conscious beliefs which are at the source of anger problems. Call 01 5240708 or email admin@accesscounselling.ie to book a place on the next course, or to book an appointment with a private counsellor.